Saturday was actually a great time to spend at PhotoPlus Expo. 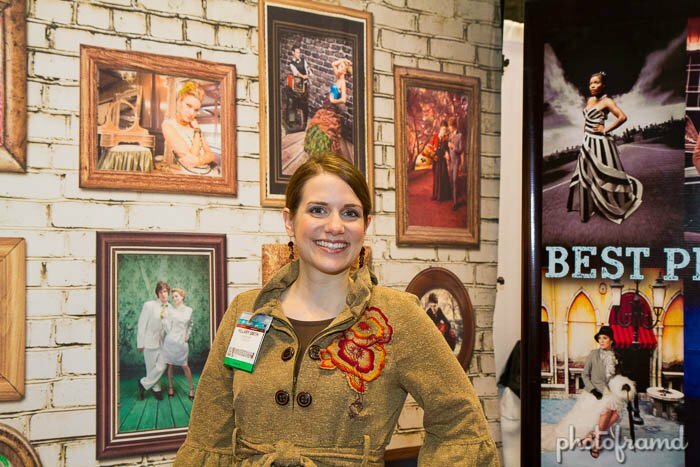 The light turn-out allowed me to spend time with the smaller exhibitors — my favorite part of the show! I love finding things that I never knew existed or never knew I wanted. 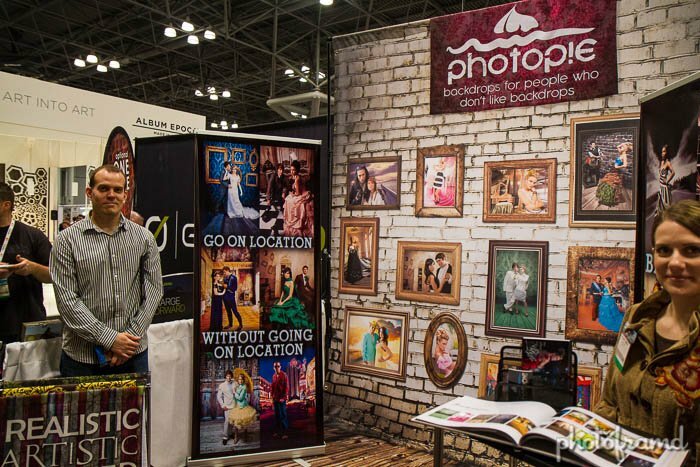 Photopie was the Coolest Product at PhotoPlus 2012. 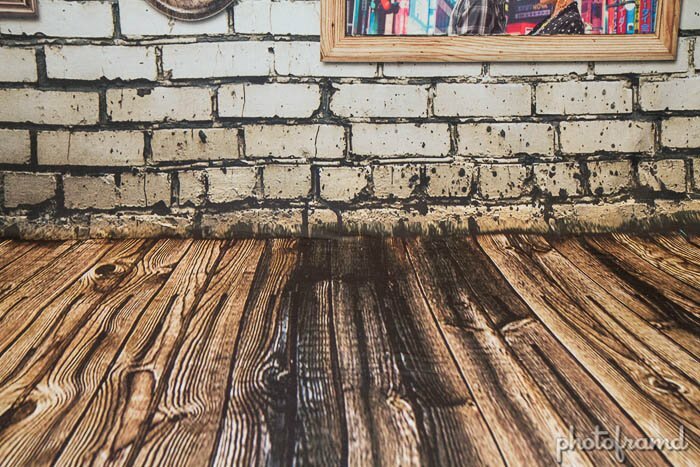 Photopie offers over 900 photorealistic backdrops and backgrounds. And, I do mean photorealistic! I watched several people walk over to them just to touch them. They are that good in person and the photograph beautifully. Take a look at the photo below. That is a seamless backdrop! Yes, it really is. Why would you buy something that looks like a curtain when you could have one of these? They are even washable. I love innovative products like this! It’s the reason why I go to PhotoPlus every year.